Top quality of products. Affordable products. Competitive performance.
. Rusagro Group is the largest vertically integrated agriculture industry holding company in Russia. At the present time it occupies the leading positions in sugar, pork, crop, oil and fats production. Land bank of the Group consists of more than 665 thousand ha. In 2015 a number of investment banks named Rusagro Group one of the most profitable and fastest growing consumer segment companies in CIS. Company is listed on the London Stock Exchange and on the Moscow Stock Exchange. The main assets of Rusagro Group are located in Belgorod region, Tambov region, Sverdlovsk region, Voronezh region, Samara region, Kursk region and Orlov region, as well as in Primorskiy region, which allows to diversify business regionally. Headquarter of the holding is located in Tambov. Subdivision of the Rusagro Group of Companies, LLC is located in Moscow. Geography of Rusagro sales is constantly growing. 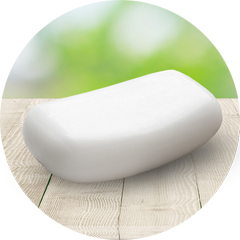 Currently the Company sells products in more than 80 region of Russia and more than 35 countries abroad. OJSC Zhirovoy kombinat. 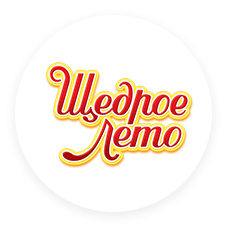 Sauce and fat production of the Group is represented by OJSC Zhirovoy kombinat (Ekaterinburg Fat-processing Integrated Works) (EZhK), located in Ekaterinburg city. This integrated work makes the top five of the Russian largest industry-specific enterprises and dominates in the CIS market. OJSC Zhirovoy kombinat (Ekaterinburg Fat-processing Integrated Works) was founded in 1959. In 2003 the enterprise joined the Rusagro group of companies and for the last 10 years it grew rapidly in technical and market sense. 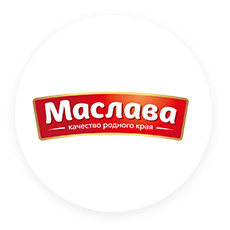 The design output of OJSC Zhirovoy kombinat equals to 75 thousand tons of margarine,145 thousand tons of mayonnaise per annum, 35 thousand tons of packaged oil per annum. 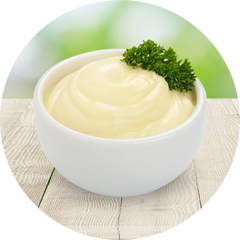 The company product range includes more than 92 items: mayonnaise, margarine, sunflower oil, ketchup, mustard, cooking and confectionary fat, including soap. 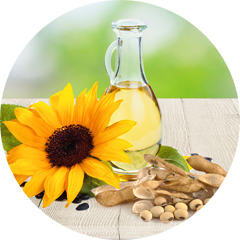 High quality of EZhK products is ensured through the use of high-quality natural raw materials, new technologies and automated modern equipment. The company is actively implementing projects to improve the process efficiency. In 2017, losses of packaging materials were reduced by 5%, the production lines efficiency was increased by 3%, outdated equipment for ketchup producing was replaced, raw materials and materials storage capacities were increased. In 2017 a new shop for refining, deodorization and interesterification of fats began to operate at OJSC Zhirovoy kombinat, as well as a site for packing vegetable oil in PET bottles. 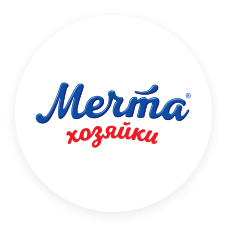 Currently, the brands "Mechta Khoziayki", "Provansal EZhK", "Schedroe Leto" are represented in the main federal trade networks such as Pyaterochka, Karusel, Perekrestok, Magnit, Monetka, Auchan, Dixy, Lenta, O'key, and also in the main regional ones. 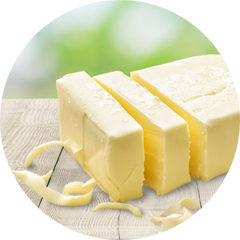 OJSC Zhirovoy kombinat actively promotes its products for export, mainly to the countries of Central Asia and Russia's neighboring states Thus, in 2017, 39% of the total volume was exported, 62% of which is the export of margarine products. In 2017, oil and fat products were shipped to the USA, China, Mongolia and Afghanistan. 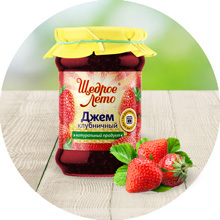 In March 2018, OJSC Zhirovoy kombinat received a certificate of compliance with the standards of HALAL, which is a strategically important in the development of the relationship between the Zhirovoy kombinat and its partners in the CIS and neighboring countries, as products with the sign of HALAL are more and more popular in the countries importing products of the OJSC Zhirovoy kombinat, such as Azerbaijan, Kyrgyzstan, Kazakhstan, Tajikistan, Turkmenistan, Uzbekistan and others.